Tulane offers its students one-of-a-kind learning experiences inside and outside of the classroom. Tulane graduates are uniquely prepared for the challenges of the real world. Like many colleges, Tulane requires its first-year students to take a freshman seminar. But we want our students to get off campus and explore their new home here in New Orleans through TIDES. Capped at just 15 students, the small size really allows you to get to know everyone, including the professor. TIDES is way more than just a core class; it’s a way to meet new people and make a name for yourself — both on campus and off. 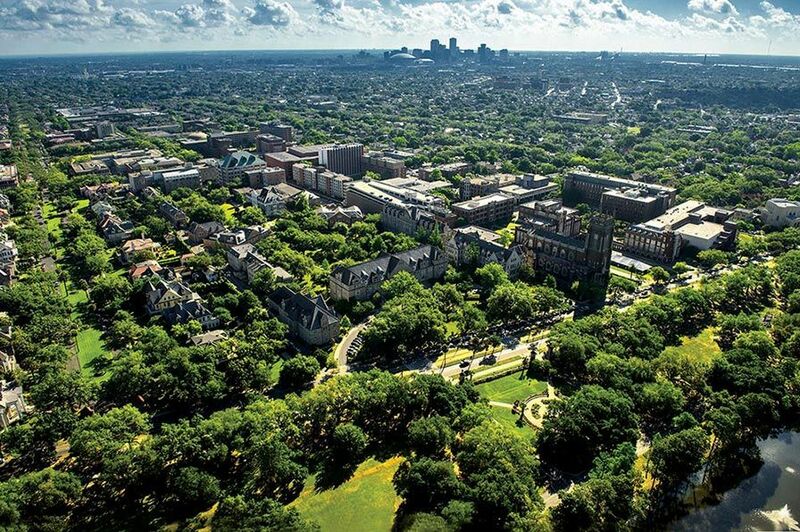 Since 1894, Tulane’s campus has been located in our current location in Uptown New Orleans, on historic St. Charles Avenue, across the street from the beautiful Audubon Park. Since then, our campus has grown to occupy 110 acres stretching 1.5 miles from the beginning of campus on St. Charles Avenue to the end on South Claiborne Avenue. Mature Live Oaks, Crape Myrtles, and Bald Cypress trees line our campus providing beauty and a subtle reminder that our campus was once marshland before it’s development over 100 years ago. Our campus features over 110 buildings, including 50 buildings dedicated to housing our 70 plus majors from our 5 undergraduate schools. A number of our graduate programs, including the Tulane Law School, are also housed on our Uptown campus. While Tulane is bounded by our physical location in New Orleans, we maintain a global campus with our emphasis on cultivating an international and multicultural climate on campus and engaging the global community through our study abroad programs. More than 30% of Tulane students study abroad as undergraduate through one of our partner programs in another country or through the Independent Scholar Program. We set our graduates up for success through several undergraduate resources. Tulane was the first private research university in the nation to institute a public service requirement for graduation. Sure, we’re proud of this stat, but we’re even more proud of the fact that at Tulane, public service is qualitative instead of quantitative. It’s not about how many hours you spend volunteering. It’s about what you are doing and who you are helping. Video: "Why Did You Choose Tulane?"